I have written a lot about techniques for maintaining or even improving your quality of life while you have a neurodegenerative disease or another condition causing dementia. Ok, if for some reason or the other, you find that you are living a pretty good life of pretty good quality because you have been learning cognitive and behavioral methods to cope, there are lots of other things you can do. What are you going to do with all of that time? 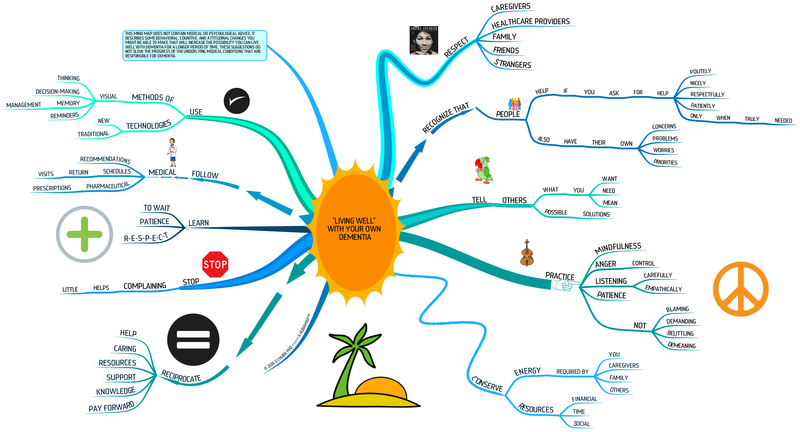 Here are a few suggestions in the form of a mind map. Click the image to expand it. 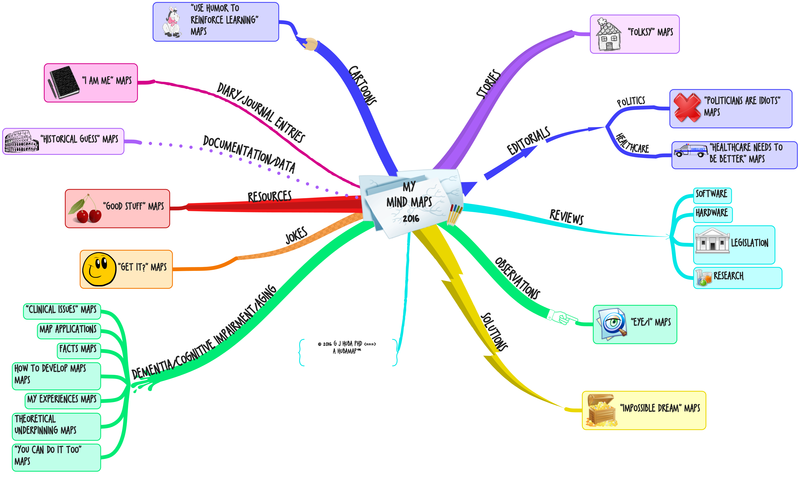 The same mind map is shown as a presentation next. You can simply watch it with the automatic changing of slides or if you tap the pause button in the presentation you can use the right and left arrow keys to go through the slides at your own speed. While you still can do things for yourself, you should try to minimize the burden your dementia places on your family caregivers and those hired to help. No unnecessary requests. Caregivers are there to help you with your care, not be a maid, servant, counselor, whipping post, target for frustration, psychotherapist, or camp director. If you can still do it, make your bed and your breakfast and schedule your day instead of expecting someone to do this for you while you watch the morning talk shows or endless reruns of I Love Lucy or Star Trek. Appreciate caregivers, value them, thank them, help them. Later you won’t be able to help so much but they will know that you have always tried to be as a little of a burden on them as was possible. Get ready for the later stages of dementia. At the present time you cannot stop the progression of dementia although you can certainly prepare for things to finally get worse. Take advantage of neuroplasticity, the way the brain will rewire itself if there is outside stimulation. Organize yourself better getting boxes of photos and other life memories together. Try to learn to do new things that will help you better deal with the later stages of dementia. You will be surprised to find how the simple step of improving your handwriting will improve your quality of life later as you become more and more dependent upon sticky notes to yourself and others. Try to be creative with art or music or just continue to use your time experiencing new movies, museums, and restaurants. Organizing, learning, being creative — all of these activities may help you help your brain to make itself adapted to working around your dementia, although it is quite likely that adaptation will not occur for many. But if not, you may still find some of these activities enjoyable and you will be giving your caregiver a break from being the cruise boat director so it is still a winning situation. Use the “good” time you have now to make the upcoming “bad” times better. The dementia is not going to stop without new medications or other emerging new medical procedures, but you can change how you feel about your life and interact with others for the better. And, you can make the life of your caregivers better in the future by learning ways to “help yourself” now. Your daughter or partner or son or siblings never signed on to put their own lives on hold for you. Try to minimize the amount you will be forced to ask them to help by using time during the early stages of dementia to be more self sufficient later. You can do this. A lot of it can be fun or a way of realizing that you can still do things after a diagnosis and you can still do many of them well and learn new things. I recently celebrated my 65th birthday. I realized that this was also the 5th anniversary of maintaining a good quality of life while having neurodegenerative disease. They give people awards for five years without cancer remission or for five-year sobriety. So I thought I would give myself an award for having many bad things happen during the five-year period since “officially” becoming 100% disabled (according to the Social Security Administration) and nonetheless being able to maintain a good quality of life. Obviously I had lots of help … nobody can survive dementia without a strong support system. For that I am very grateful. I started out my period of retirement with the goals of maintaining quality of life for my family and myself and making a little difference in the world. I also wanted to stay relatively independent and minimize the number of times I would have to ask others to make large personal sacrifices to help me. Don’t send me an email or comment on this entry to acknowledge that I did a good job — I know that. Do design programs and experiences for patients, clients, family members, friends, and anyone else with dementia to celebrate how hard they worked to try to stay independent and be as self-reliant and responsible as their medical condition would permit. People with dementia can do much more and have a better life than most know. Help them learn this and celebrate their victories and achievements. Recognition that it is hard helps a lot. So does basic information that this is possible and some simple and inexpensive techniques for achieving as much independence as possible. Celebrate people with dementia who “survive” and “thrive” during the time of their disease. Encouragement goes a LONG way. The following presentation breaks the map down into smaller pieces so it is easier to see the clusters of ideas. If you would like to manually go through the presentation, click on the pause button and then use the arrow keys to go back and forward. A small upgrade of a graphic that has been on my home page for several years. 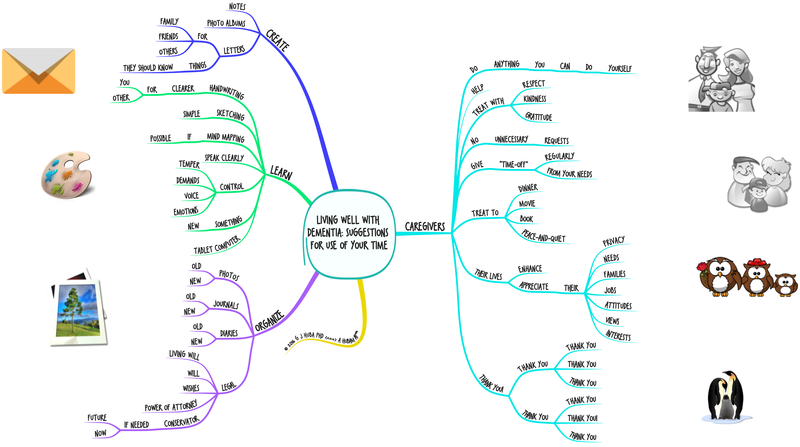 iMindMap has changed several times since I did the original version, and my ideas on the best ways to make effective maps have grown far beyond Buzan guidelines. The infectious disease of the month is Zika. A few months ago it was Ebola. Before that MERS. In between we have seen some reports of a small number of Avian flu cases along with sprinklings of other emerging health problems. There is a simple statement that describes what happens when an infectious disease hits a poor nation or nations. When a new infectious disease outbreak occurs in a poor nation, (tens of ) thousands can become infected and potentially die before we, in richer nations, hear about the disease cluster or alarm is expressed by our government officials. As soon as a few cases occur in the USA or EU or other richer nations, a few thousand stories are immediately broadcast on the global, television satellite network and the richer nations proclaim the seriousness of the problem. The CDC of the USA is a good example of this very reactive strategy. If we know anything about outbreaks of infectious disease, it is with rapid worldwide transportation systems and pervasive international trade, the disease vectors and active disease cases will arrive in the richer nations and cannot be confined to poor nations (not that this should EVER a poor nations only problem). And we also know that the poor nations do not have the health system infrastructure to prevent the emerging disease within their own countries nor to treat their citizens with state-of-the-art techniques and medications nor to confine the disease within their borders. Perhaps thousands of television stories can be broadcast about the need for a real and responsible whole world health system instead of the fairly unresponsive and overwhelmed system represented by the World Health Organization. Or maybe television outlets do want to run stories like the terrors of the “Disease of the Month” because they might lose advertiser revenue from broadcasting the scary stories of rampant infectious disease of the week (month). Or maybe governments are worried about not being able to hold the poorer nations in their “proper place” if they receive the benefits of an effective world wide health system. Makes you wonder, doesn’t it? 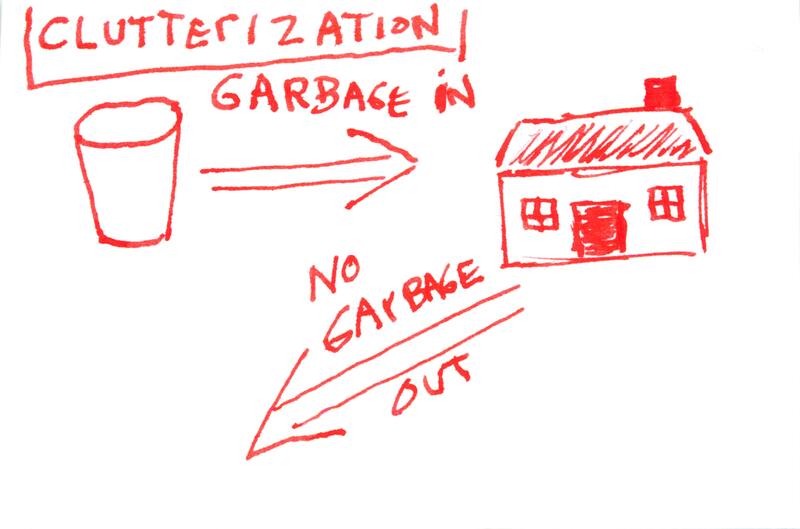 The following mind map shows some of the issues. Please click the image to expand it. You can now access all blog posts on Hubaisms.com — from most recent to the start in 2012 — by clicking on the ALL BLOG POSTS button near the left top of each page.